This is not a luxury, this is your skin’s future. Make your eyes really stand out with great looking semi-permanent eyelash extensions. Stunning make-up that won’t smudge, run or crease. Enhance your features or cover those blemishes for a model-like look that really lasts! 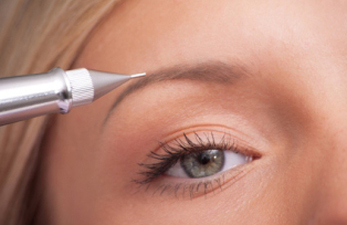 Semi permanent make-up is a brow, eye and lip enhancing treatment. It gives the appearance of smudge free make-up all day, every day. We are recruiting now! Part time fully qualified beauty therapist required. Friendly and professional staff with a relaxing atmosphere, makes every treatment a wonderful experience. Very friendly, relaxing atmosphere. Exceptionally skilled beauticians – the best treatments we’ve had anywhere! I really enjoy having my beauty treatments at Serenity. All the therapists are well trained, they offer good advice and their treatments are excellent. So go to Serenity and try their beauty treatments and I am sure that you will not want to go anywhere else.